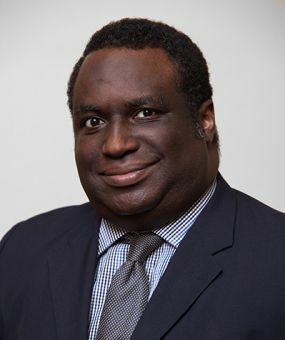 Abdul Jinadu was called to the Bar in 1995 and has been a practising barrister in Keating Chambers since 1996, specialising in construction, engineering and energy disputes, and domestic and international arbitration. His practice covers a wide spectrum of advisory work, drafting and advocacy, related to standard form and bespoke contracts; contractors’, subcontractors’ and employers’ claims; professional negligence claims (architects, engineers, surveyors and valuers). He has acted for the full spectrum of clients including construction and engineering companies, government organisations, corporations, public utilities, local authorities, consultancies, architects and engineers. He has extensive experience of a wide range of disputes and advisory work relating to infrastructure projects. Significant cases have involved oil and gas facilities, pharmaceutical plants, hospitals, mining, marine construction as well as local authority cases and other major construction projects. He has recently acted on behalf of clients involved in projects in Sierra Leone and Nigeria and was instructed as counsel in a $1b dollar arbitration involving an oil and gas field in West Africa. Abdul has “a strong adjudication element to his practice” and is a TECBAR accredited adjudicator. In addition to acting as an adjudicator and giving papers and seminars on the subject, he has acted for clients at all stages of the adjudication process (advising, drafting, and representation at enforcement proceedings) and at all levels up to the Court of Appeal. He has acted for a number of international clients in international disputes including the National Petroleum Company of Trinidad, the state oil company of Norway, the governments of Ghana and Malawi as well as clients from the Far East investing in West Africa. Abdul Jinadu is bi-lingual in English and Yoruba and maintains significant contacts with his home country of Nigeria. He has well developed contacts in the legal profession and in the construction and oil and gas sectors in Nigeria. He is Secretary Pro Tem of the Society of Construction Law Nigeria. He is a member of the Court of the Lagos Chamber of Commerce International Arbitration Centre and a member of the Lagos Court of Arbitration. He is also a Fellow of the Chartered Institute of Arbitrators in the UK and of the Botswana Institute of Arbitrators. Abdul Jinadu has lectured on a wide range of subjects to a wide range of professional bodies. He is a Chapter author for Keating on Construction Contracts and Keating on Offshore Construction and Marine Engineering. He is a member of the editorial board for LexisPSL Construction. He has written articles on a range of subjects including on the NEC 3 and the Nigerian Oil and Gas Industry Content Development Act 2010. Acting for a dredging contractor in a FIDIC Blue Book Dispute Adjudication Board against a Kenyan Government entity in respect of a claim arising from damage to an undersea cable during the course of the works. Acting for a Chinese heavy engineering company in respect of the contract for the development of a new container port in Sierra Leone. Acting on behalf of a specialist design and build contractor in an adjudication in respect of a dispute regarding the design of glazing for a major office block refurbishment. Acting on behalf of a local authority in a dispute concerning ground works. Acting in a series of adjudications on behalf of a major UK contractor regarding a high profile residential development in London. Acting in a multi-million pound adjudication on a high profile commercial development on behalf of a major UK contractor in London. Acting in a series of adjudications on behalf of a major UK contractor regarding a mixed residential and commercial project in the north of England. Acting on behalf of a major international construction company on a large adjudication concerning a commercial project in the east of England. Advising a major UK construction services company in respect of a claim arising from the Westfield development. Acting on behalf of a development company in High Court litigation regarding the redevelopment of educational facilities. Acting on behalf of a major contractor in relation to a claim arising from the Jubilee Line extension. Advising a major UK construction services company in respect of a claim arising from infrastructure refurbishment works. Advising the claimant in an arbitration, between a UK Contractor and the State, concerning a World Bank funded road project in West Africa. Acting for a Nigerian oil and gas services company concerning a dispute with a UK oil and gas services company regarding an agreement for the provision of services in Nigeria. Acting for a UK power company, in a £40m claim concerning power generation equipment. Represented a national oil company in US$40m international arbitration regarding the turnaround maintenance of a major regional oil refinery in the Caribbean. Acting on behalf of a Kuwaiti company in an engineering dispute in the oil sector. Acting on behalf of a major defence contractor in an adjudication relating to a major defence information technology project. Acting in a multi party ICC arbitration claim for approximately $1 billion arising out of a production sharing contract for a deep offshore field involving Nigerian and international parties. Acting on behalf of the government of Malawi in an ICC arbitration. Acting in a multi-million pound claim on behalf of an international port operator regarding marine construction works. Acting on behalf of a contractor in relation to a claim regarding marine construction works arising from the refurbishment of a key defence establishment. "Possesses boundless energy and good strategic vision." "Extremely experienced and a pleasure to work with. Very accessible and has a keen eye for the commerciality of a dispute." "He has the ability to articulate a point precisely in order to persuade. He is very easy to deal with, accessible and down-to-earth." "Very knowledgeable as well as quick and thorough in drafting." Abdul has written papers on adjudication and professional negligence. He is an avid Tottenham Hotspurs fan and enjoys military history.